A Dividend Reinvestment Plan, abbreviated as “DRIP” is a very important portion of any dividend investor’s portfolio. 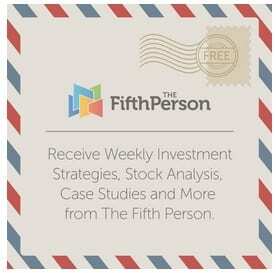 As mentioned in my previous article, I utilize this service in my dividend investing portfolio. Although there are many advantages of DRIP investing, there are also some disadvantages. In this article, I will analyse the pros and the cons of DRIP investing. But before all that, here is a short introduction to the program. A Short Introduction: What Are DRIPs? When an investor signs up for a dividend reinvestment plan, dividends received by the investor from the company will automatically be used to buy additional shares in the company. These additional shares may frequently come in the form of partial shares, which as its name suggests, represents an ownership of less than one share. The many advantages of such a scheme will be elaborated on below. Currently, numerous blue chip companies (along will some other smaller, dividend-paying companies) offer DRIP plans, many for free. Although some companies do not offer such plans, most brokerage firms have also started offering free DRIP plans for investors, allowing dividend investors to reinvest their dividends into virtually every company that can be purchased on the stock market. DRIP allows investors to grow the number of shares they have incrementally, allowing them to own partial shares (as mentioned above). These partial shares cannot be bought outright in the open market, which is an advantage in itself. This is since investors get to put all their money to work, instead of leaving the cash (that would have been used to purchase the partial shares) idling in their accounts. In reality, the fact that I’m able to own more shares incrementally is one of the main reasons why I utilise DRIP. One of my investment aims, as a dividend investor, is to have a steadily growing dividend stream over time through compounding. DRIP allows me to do just that. In addition, there is no lower limit for DRIP, no matter whether it is offered by the company itself or the broker. Investors can own as little as one share, and still be eligible for the program. This gives all investors, including those with relatively less money to invest in stocks, to be able to benefit from the program all the same. Besides all these, using dividend reinvestment is also very cost efficient. Most brokers and companies now offer DRIP for absolutely no cost, which means that one can purchase new shares in companies without any commissions. This is another advantage of the program that makes DRIP attractive to me. Brokerage costs are one of the main expenses that eat into my returns and my income stream. With such a program, I am able to maximise my investing returns, and optimise the long-term effect of compounding on my portfolio. Furthermore, a small number of companies also offer a discount when investors buy shares under their DRIP program. This simply means that investors can purchase additional shares at a discount to the market price every time they use their dividends to do so. Most companies might not offer a significant discount to market price, with the discount ranging from 1% to around 5%. Although this does not sound like much, it does add up over time, giving investors utilising the DRIP program an advantage over their other counterparts. Although DRIP investing sounds attractive, it is undeniable that there are some cons of reinvesting dividends. Here are just some disadvantages of DRIP investing. This is a big negative point of DRIP investing, especially for retirees in the “distribution stage” of their lives. Although DRIP investing allows investors to increase the shares they have over time, this means that they sacrifice receiving their dividends. For retirees depending on their dividends to sustain their day-to-day expenses, utilising the DRIP program will not be feasible. For younger investors, it may also be a negative point, since it eliminates this stream of passive income. But I see it as such a program as a savings plan, which forces me to save this dividend income for the future so compounding of my capital can take place. When we buy shares, we take many factors into consideration. This includes the trend of the stock price and the valuation of the shares. We may only be willing to buy shares when they are below a certain multiple of earnings, or only when the stock price’s trend is in our favour. When utilising a DRIP program, we have absolutely no control over when we want to buy shares, since shares are automatically purchased when the dividend arrives. Hence, we might purchase shares at valuations that are unacceptable to us. This is one of the largest cons of utilising a DRIP program at the moment for me, especially with some more richly valued shares, such as cigarette-producer Altria Group (MO), which trades at 24 times earnings, and food producer General Mills (GIS), which trades at 23 times earnings at the moment. This has made me consider dropping the DRIP program for some stocks. This is since I would rather deploy these funds into other more attractive investment opportunities. Lastly, when an investor utilises the DRIP program, dividends are continually reinvested into the company that paid the dividend. This means that there are no fresh funds for the investor to purchase new companies and diversify his/her portfolio. This might also cause some companies and sectors to be over-weighted within the portfolio, amplifying the negative impact of an price decline in the specific company or sector. In conclusion, I believe that utilising the DRIP programs is more advantageous to dividend investors overall under normal circumstances. But when valuations in some companies rise to unacceptable levels, the balance starts to tilt against our favour. Hence, I believe that dividend investors with a long time horizon should use DRIP due to its numerous qualities. But the intelligent investor should either sell the shares, or halt it at times to protect themselves from buying shares that are too overvalued.